I love helping people with their writing as much as I love to write! 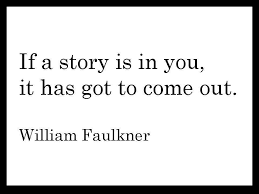 Bringing a story to life on the page is exciting and deeply satisfying. However, the writing process can also be lonely and frustrating. Working with a writing coach can help you stay focused and achieve your goals and dreams. What makes me qualified to be a writing coach and an editor? I have been teaching and studying writing in a variety of settings since 1981. I have extensive experience in classroom teaching, one-on-one tutoring, and conducting writing workshops and retreats in the US and abroad. I am trained to listen deeply, ask questions, and give direct and constructive feedback. Besides my teaching career, I am a writer just like you. 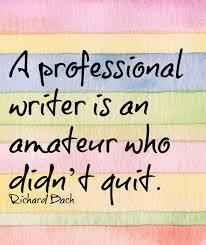 I began my writer’s journey with personal essays and proceeded to study screenwriting, memoir, and fiction. I have had successes and failures along the way, both of which have taught me invaluable lessons about the art and craft of writing and the complexities of the publishing industry. In terms of developmental editing and copy editing, I have studied at the Graham School at the University of Chicago, home of the Chicago Manual of Style. I am available to help you with manuscript analysis of any length from the personal essay to a book length project to help you prior to submitting to agents and publishers. instruct regarding the basics of how to write an essay, book etc. teach aspects of the writing craft—story structure, character development, dialogue etc. Whether you are seeking editing services or coaching, we begin with a free, consult via Skype or phone to discuss your project and make sure that I am the right editor/coach for you. I never take a client unless I know I am a good match for the material. If we decide to work together, I charge $35.00 per hour for copy editing and $75.00 per hour for substantive and/or developmental editing. This includes any time that I spend with you or your manuscript. Having discovered over one thousand love letters written to my mother in the late 1920's, I knew I had to turn to an expert for the coaching I so desperately needed. That's when I learned about Susan and enrolled in her classes to develop the craft and writing skills to move forward with my novel. I cannot say enough about what an amazing teacher she is, let alone praise her for her generous contribution in hosting workshops for other authors eager to learn. She is truly an inspiration and a well respected writing coach. Thank you, Susan, for taking me under your wing. Writing a memoir without a literary background proved to be a challenging task. I decided to work with Susan Pohlman after having the pleasure of meeting her at a local writer’s conference. She’s helped me restructure my story by providing insightful, relevant feedback with honesty and professionalism. Under Susan’s guidance, I’ve published several essays and the first draft of my memoir is nearly complete. I have a new-found confidence in my writing abilities thanks to her training and support. Susan possesses a wealth of knowledge that is readily available to writers of all levels. I highly recommend her services and look forward to working with her on my next round of edits. We all know that in order to excel at anything, it takes commitment and the ability to identify our strengths and weaknesses. We need someone who has the experience and knowledge to help us reach our highest potential. I was a novice when I began taking writing classes from Susan three years ago. She encouraged me every step of the way. The developmental editing she provided on my memoir was invaluable for my revisions. I am looking forward to working with Susan again on my fictional mystery and know her coaching will guide me so that I will make it the best that it can be. Writing a novel can be a daunting task. Susan's comprehensive review of my first draft helped me analyze the changes needed while boosting my confidence to forge ahead. Writing is so much fun when you have the right tools. Susan's classes have supplied me with those tools and her mentoring has enabled me to have confidence to write my first novel. I went to Susan Pohlman for help with a completed memoir manuscript. Complete didn't mean good, and I knew it. What Susan returned to me, after an initial interview and a thorough written assessment of the manuscript, was the door to a story much deeper and richer than I had imagined. I am grateful for her on-going guidance. Susan was exactly the writing coach I needed to find my voice writing personal essays. I heard Susan give a lecture at our community library, then, I read her engaging memoir, “Half Way to Each Other,” and I knew she would help me be a better writer and also, find more satisfaction with my writing. I retained Susan as my writing coach and each month I would send her a 300-word draft of a personal essay, she would edit it, and I would send her a second and third draft. The process was efficient, economical, and my essays for the “Soul Connection” column in the City Sun Times were greatly improved. I am a late-in-life writer and I write for a healthcare company, doing so with no formal training. I was afraid to take a class with students who are decades younger than me. But I took a class from Susan. It was packed with helpful information and writing exercises. Happily, the process was pleasurable and not painful and I wanted more. I signed up for Susan’s “Writer Travel – Santa Fe Retreat.” I and twelve other writers of all skill levels, from all over the country, became a community of writers. For five days, we lived in an historic bed and breakfast and soaked up the inspiring spiritual energy of northern New Mexico. Susan’s understanding of multiple-dimensional learning led us each day with an easy-going structure in craft, community and creativity. The focus was on finding our writing voice. At the end of the retreat, my voice was stronger. I had taken another step toward becoming a better writer. Without reservation, I recommend Susan for coaching, classes, and travel-retreats. When I decided to take my desire to write seriously after enjoying some creative nonfiction writing, I needed a writing coach. Someone that would encourage me, hold me accountable and teach me the craft. Susan has such a warm yet no nonsense approach. As a published author she has proven herself as someone that understands the art of writing and as someone that has honed the practice of writing. Susan has provided clarity to my idea, taught me character development and scene setting and is a coach in every sense of the word. This process has been eye opening and invaluable. I've enjoyed working with Susan and recommend a consultation with her to anyone that is seeking some guidance. "Susan Pohlman is a talented writer and a skillful and caring teacher. Having worked with many editors, I can say that Susan has offered me unique training in writing strategies while applying these skills to my own personal writing projects. It is not often that a fledging writer has the opportunity to learn from a published author with such sensitivity and attention to the details necessary for a finished, publishable project. She has taught me so much!" Trish D.